2011/3 - 2011/4 Taiwan Online Game 好國產，不玩嗎? The novel "飄邈之旅" inspired this online game. It has a system called "internal force mastering" that are popular in china. According to the system and art style, it's more like a online game made in china. 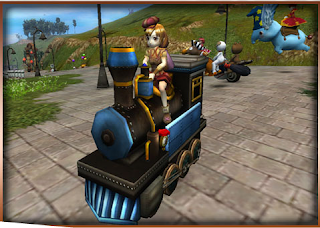 Release 2nd Job, new instances, new maps and up to level 60 information. Lord of Key = International Edition of 81 keys. Lord of Key = Full Edition of 81 keys. Lord of Key = Refinement Edition of 81 keys. *. It may not be the official translation. This game is the first web game made in IGS that publish in facebook since IGS created "PalPark", a social game brand. Texas Hold'em Poker could be a trend while mahjong games flood the gamble online-game market. I hope this game can hold events continually and create more local features. It's hard to see game features in the TV Ad above. You can use magic card in fight.. There are also many funny rides to ride. The same publisher of web game "Au Jian*". This game focus on play easily and play anywhere, you can even play it on your phone! Rumor: Is this a modified version of "Au Jian"? 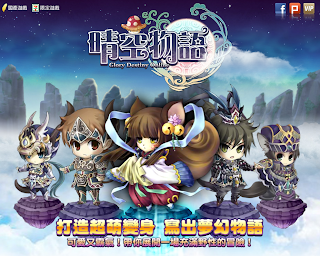 It's a more cute online game than "Finding Never Legend", a product of the same developer. You can change your body from human to kinds of legendary beast in fight. Since "Finding Never Legend " is so hot now, maybe it will not coming soon. You can see how the developer try to make the story preview video be different. There is cute animal caravan called "Meogo caravan". Since jobs and skills are related with trend (games, news), it maybe caused a sensation.